This is a novel that will keep you guessing. Chapter after chapter, page after page, Life Giver Life Taker surprises and astounds. We follow the adventures of Logan, an older gentleman who has settled in Mexico quite comfortably. After the loss of his brother, Logan begins his unbelievable journey which will take him around the world. He will brave unbearable hardships and have wondrous adventures. What you are about to read will challenge the bounds of your imagination. 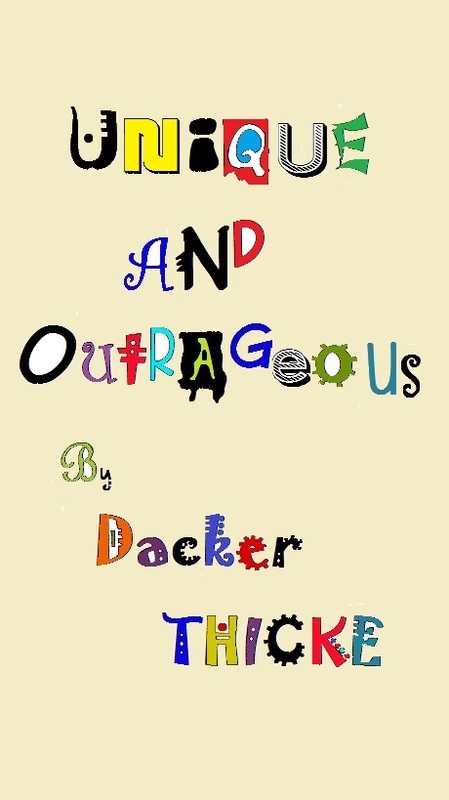 Unique and Outrageous are both words that have been used to describe Dacker Thicke author of this collection of short stories. No matter what genre of stories you prefer, there is something for everyone: there’s comedy, drama, intrigue, action, adventure, romance even a little erotica. Each story is lovingly written and always surprising there are even a few poems to choose from. 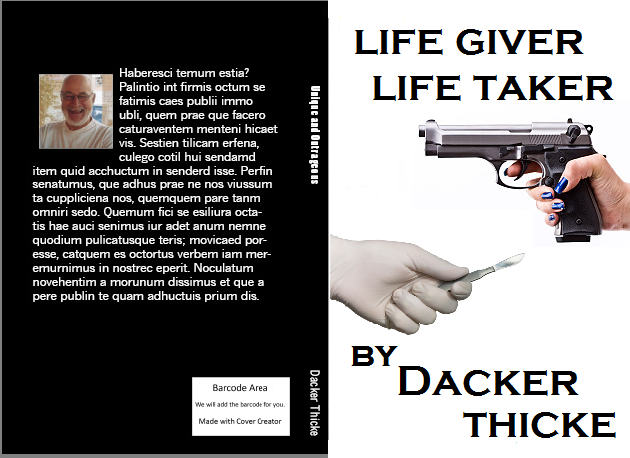 Dacker draws from a wealth of experience from his 90+ years of life to bring you stories that have to be read to be believed blending fact and fiction seamlessly. Weather you are in the mood for for a funny swift read or wanting to delve into a novella both can be found in this truly unique and outrageous volume. Who would have imagined that by missing a train Garry would have met a man who knew of a mysterious island where Garry would find danger, intrigue, adventure and love. 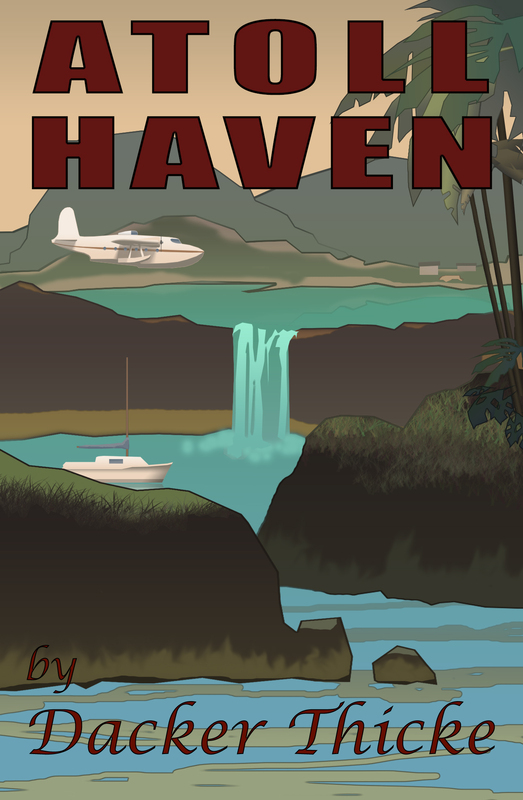 Atoll Haven is a modern day adventure in the tradition of Robinson Crusoe, Blue Lagoon and Swiss Family Robinson.